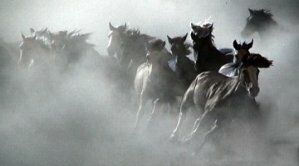 The Yakama Nation - Wildlife Resource Management Program along with the other Yakama Nation - Division of Natural Resources programs team with Bureau of Indian Affairs (BIA)-Forestry and provide the framework for the BIA - Yakama Agency Inter-Disciplinary Team [IDT]. As a part of this team the tribe assists the BIA in meeting their federal National Environmental Policy Act (NEPA) requirements in the development and assessment of BIA timber sale contracts within the Yakama Reservation Closed Area. The Yakama Nation wildlife primary emphasis is in preserving, protecting and enhancing wildlife populations and their habitats. In addition to timber sale units; the IDT is responsible for all other NEPA assessments that will impact areas within the boundaries of the reservation. In the lower elevation valley, our program is completing floodplain terrace restoration. Idle agricultural fields, former cropland and pasture are converted to functional native communities. Target vegetation communities include saltgrass / greasewood and basin wildrye / sagebrush assemblages, depending on soils and water table. Following invasive plant control, native grasses are seeded into these areas. In 2007, we began introducing native shrubs such as chokecherry, golden currant and greasewood after grasses are established. For more information on this project please contact Katie Fitch at (509) 865-5121, x6377. In the shrub-steppe lands of the Yakama Reservation, habitats were identified that could contribute to a positive population growth of greater sage-grouse. Degraded habitats that are adjacent to potential sage-grouse habitat are being targeted for restoration activities. 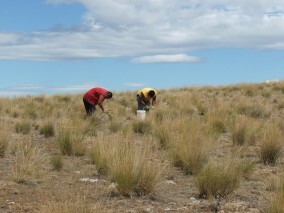 In 2005, our program began shrub-steppe restoration at two sites. Native grasses (bluebunch wheatgrass, Sandberg�s bluegrass, squirreltail, and needle-and-thread) are seeded with a no-till drill, and cheatgrass is controlled with herbicide during grass establishment. 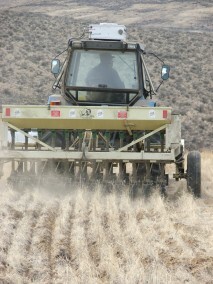 Next we will plant and seed native forbs and shrubs, including sagebrush, hopsage, hawksbeard, lomatium and phlox. Additional sites are planned for 2006 and 2007. 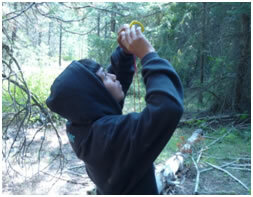 Picture 2 - Collecting local seed for replanting. Picture 2 - Monitoring effectiveness of techniques. This project consists of two phases. 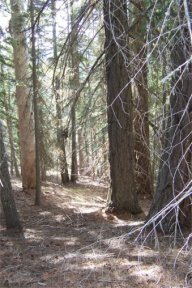 Phase I (2009-2011), the inventory of the grazable woodlands of the fringe area within an elevation change of 2,220 feet to 3,500 feet, and phase 2 (2012-2014) includes the remainder of the Yakama Nation xeric forest lands that are open to grazing but not within the fringe area. The percentage of the area covered by a forest overstory increases with increasing elevation. The understory production within the forest fringe appears to be moderately high. Grazing pressure from livestock, feral horses, elk, and deer, as well as a better knowledge of the distribution of culturally important plants requires a better knowledge of forage production in these areas. The goal of the inventory is to be able to set stocking rates that promote range health and insure that the resource is capable of sustaining a variety of uses and values, including livestock grazing, wildlife and fisheries habitat management, cultural needs, and watershed stability. 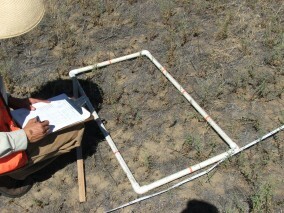 Picture 2 – Harvested material is weighed in the field to calibrate field estimates. 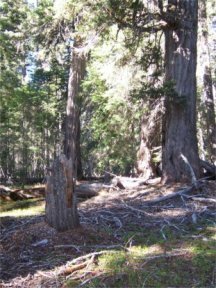 on tree species, diameter, and health. For more information on this project please contact Katie Fitch at (509)865-5121, x6376. Streams and meadows within the Yakama Reservation’s forested area provide habitat for many culturally and ecologically important species. Essential Yakama food resources supported by these habitats include plants, big game, and fish, while ecological functions include water storage in meadows to keep streams flowing through the year, and support of high biodiversity. Both of these habitat types support many rare species with narrow habitat requirements, as well as those more common species with broader habitat requirements that benefit from the juxtaposition of necessary habitat elements where meadows and streams lie within forested landscapes. 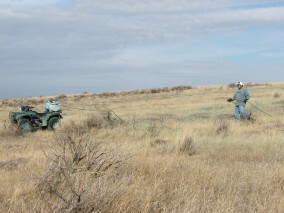 During 2009 and 2010, an Environmental Protection Agency grant is funding assessments of meadow habitats on the Reservation. Over 800 meadows are mapped, but only 150 have been visited to date. 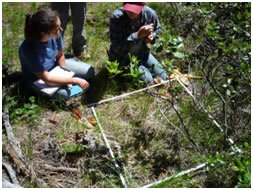 Assessments include identification of resource values of meadows including hydrology, and evaluating stressors and their effect on meadow condition. 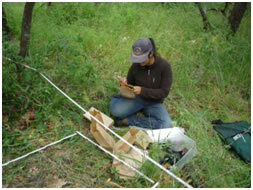 The goal of this work is to identify meadow management needs and prioritize meadow restoration activities. For more information on this project please contact Katie Fitch at (509)865-5121, x6377. This project began in 2005, starting within 2 subwatersheds encompassing 55,000 acres, to better define and map old growth and to begin modeling where these rare and valuable habitats can best by redeveloped and sustained. The methods developed in these specific areas are to be applied across the Reservation forest to lay the foundation for better protection of old growth. Since 1993, Forest Management Plans have included provisions designating Old Growth Management Areas within every timber sale, within which old growth conditions are to be protected or developed. However, most of the sale areas in the managed forest encompass little or no actual old growth, and vegetation mapping and past broad old growth definitions have both proven inadequate for identifying where old growth conditions exist. So Old Growth Management Areas have been a good first step toward developing a future network of old growth habitats, but more will be needed to understand the current distribution of true old growth and protect the most valuable areas from stand-replacing disturbances. 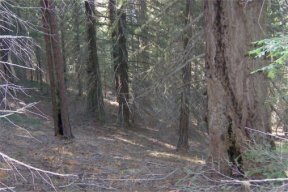 With improved old growth definitions and mapping, the Yakama Nation�s ability to set and meet appropriate protection goals will be greatly enhanced, preserving these unique places and ecosystems for future generations. 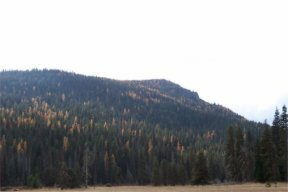 Pictures - East side, ponderosa pine, old growth forest conditions. Pictures - East side contains lots of dead standing and fallen trees. 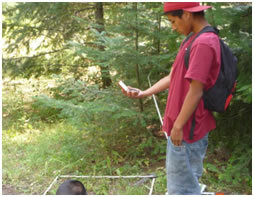 For more information on this project please contact Gina King at (509) 865-5121, x6330.